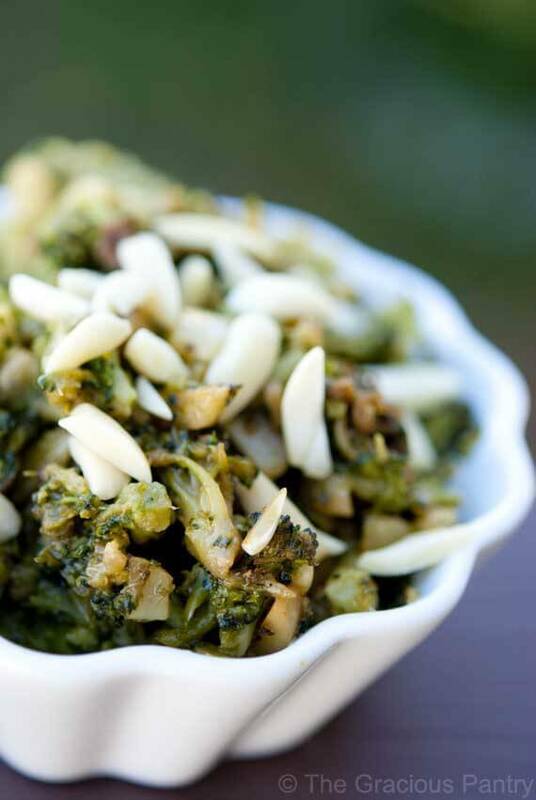 If you love garlic, then this is a fantastic little side dish! It may not look like much, but man is it good! Plus, it’s simple and easy to make. And I don’t know about you, but simple and easy to make recipes are at the top of my “to-cook” list these days. Place all ingredients in a pan and stir until warmed through. You want to be sure the garlic powder is well distributed. That looks absolutely delicious! And simple enough that I could carry it out on a week night. Thank you for yet another fantastic clean eating recipe, Tiffany! Your welcome Sarah! Thanks for stopping by! Roxanna – Hmm. I’ll have to look into that. Never heard of it before. I assume you mean a virtual recipe box? I LOVE garlic and this looks yummy in my book!! Can’t wait to give it a try… what a nutritional powerhouse!! Dani – Let me know what you think! BTW, You have a fantastic blog! This is one of my favorite ways to eat broccoli. I’ve never thought about adding almonds. Will have to try that with some of my broccoli I bought at the farmers market the other day. Daphne – So yummy with the almonds! I made my broccoli recipe last night. This time I added the sliced almonds. I loved the little crunch it gave. Yum!